At Fairhope Brewing Company, we are as committed to being involved with the local community as we are to making great beer, and we look at our taproom as your local living room, a meeting place where we invite you to pull up a chair and try the freshest beer in Lower Alabama. When not captivated by the view of our next bubbling batches of beer in the beautiful tanks behind the bar – we admit to being distracted by them ourselves – you'll notice our reclaimed wood tables, uniquely welded chairs and elegant arched bar, all made locally by Baldwin County craftsmen. Curious about the brewing process or the beer you're drinking? 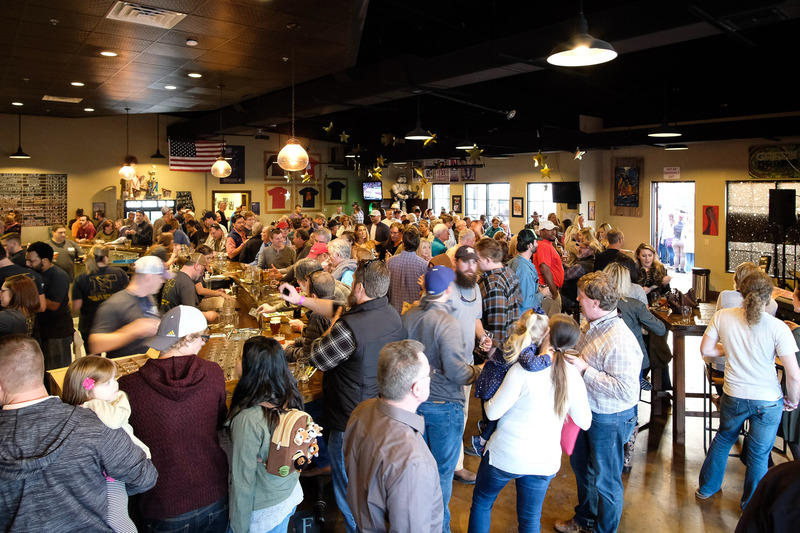 Our enthusiastic staff of friends and family love talking beer, so the taproom is the best place to ask questions and get to know the people making Lower Alabama's craft beer. And don't forget to grab some beer to go or browse our merchandise area before you head out. While we don't serve food at the taproom ourselves, you are more than welcome to bring in your own snacks and sandwiches and pizza. Delivery options are limited in the area, but there are a few places that will get you food once you are on site. We also have a steady stream of food truck parked by our deck out front. A food truck will be on site for all big events, most music nights, and every Wednesday for trivia. 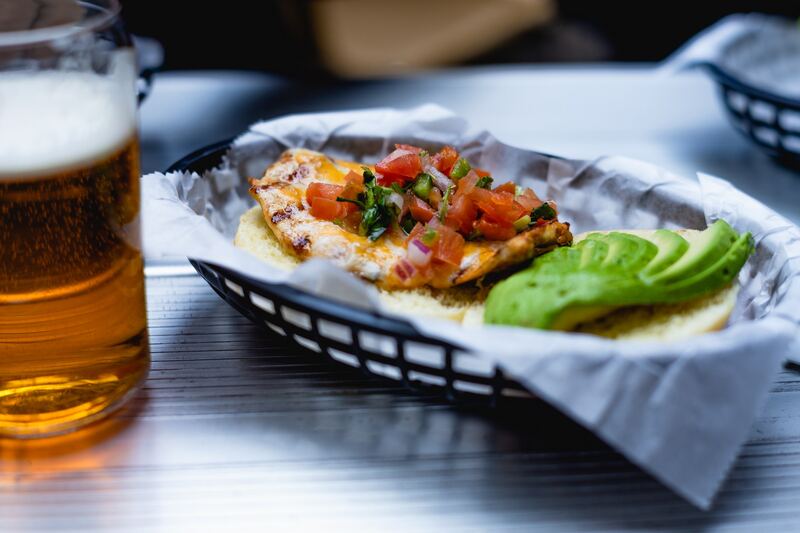 Just because we don't serve the food doesn't mean you need to miss a great meal while at the brewery! 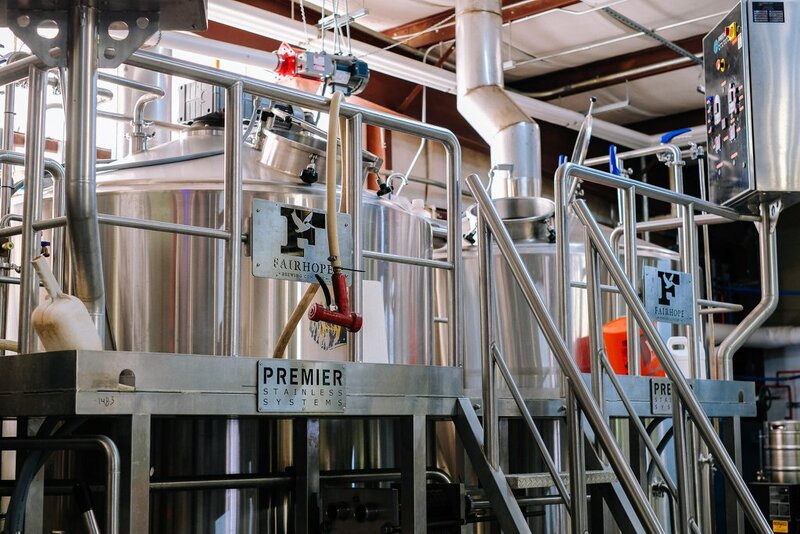 Interested in checking out what goes on behind the scenes at Fairhope Brewing Company? Then sign up for our tour package, offered every Saturday at noon. The tour is limited to just 15 people and costs $15 per person, which includes the tour and a logo pint glass filled with beer. As a part of your tour, you will get an inside look at how the brewery got off the ground, info on what‘s been going on over the last couple of years, and an up-close-and-personal look at our 60-barrel brewing system and canning line. We ask that you please arrive at the taproom at 12 p.m. (tour will be finished by 1 p.m.). Send us an email to reserve your spot. Looking for a great space to host your private event? We might have just the spot for you here at our taproom. 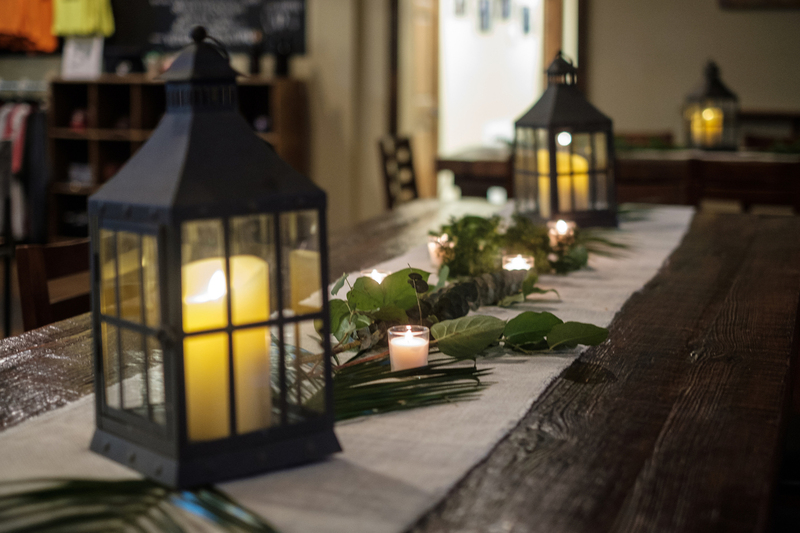 We happily host rehearsal dinners, wedding receptions, fundraisers, birthday parties, baby showers, corporate functions, or just about anything else you can think of. We can even brew a special beer just for you. We will do our best to make your event memorable and fun, and we only have one ground rule for you to follow: Alabama law does not permit you to bring in any outside alcoholic beverages. Pricing will vary greatly based on a number of factors, including date, time, number of guests, and other specific details, so please contact us for pricing and availability. Send us an email and we'll be happy to talk through details and set something up for you.